The Samsung Galaxy Note 8 is still one of the most awaited phone of 2017 even after the disaster that happened with the Galaxy Note 7. Samsung managed to turn things around after the release of the Samsung Galaxy S8 and S8 Plus. According to some leaks and rumors, the upcoming Galaxy Note 8 will be bigger than the S8 Plus. Nothing has been officially revealed at this point so we will be depending on leaks and rumors mostly to find out what to expect in the upcoming Galaxy Note series phone. Before we get to the specs, let’s take a look at the Samsung Galaxy Note 8 Nigeria price first. It should come as no surprise that the Galaxy Note phones or phablets are really expensive. It’s expected to cost around 275600 to 314900 ₦ right after the Samsung Galaxy Note 8 release date Nigeria. Now let’s see if it will be a good idea to wait for this phablet or not. Recently Samsung’s Galaxy S series went through a major change in design. The company took their time to introduce a new design completely from scratch and the waiting was definitely worth it. After the Xiaomi Mi Mix showed up with a bezel-less design, it was only a matter of time for other smartphone makers to follow the design which is what Samsung did with their flagship phone. The upcoming Samsung Galaxy Note 8 is expected to borrow all these design cues from the Galaxy S series phones which leave us with the Infinity display. It’s safe to say that the Galaxy Note 8 will look quite similar to the Samsung Galaxy S8 Plus. Just like the S series phones, it won’t include a physical home button as well. People didn’t like how Samsung placed the fingerprint scanners on the back of Samsung Galaxy S8 so we are expecting to see a fingerprint scanner hidden on the display just like the button. The phone will be also quite big with a 6.4-inch display. It might be a problem for some users to go for a phone this big. This will be the first premium phone from Samsung to show up with such big screen. There was the Samsung Galaxy Mega with big screen but it is not a premium phone. The Galaxy Note series phones are known to be big and are called phablets but a phone over 6-inch is definitely not for everyone. It’s expected to pack OLED display showing 4K resolution with less bezels. There are also rumors roaming around about Samsung going for a foldable screen but that’s highly unlikely. For now, we believe it will be a 6.2 or 6.4-inch screen with Infinity display. 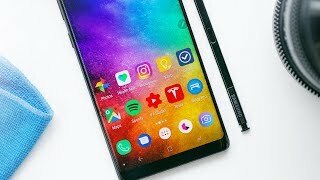 It would have been better if they managed to offer these features without increasing the price, but it’s highly unlikely that it will be released for anything less than the mentioned Samsung Galaxy Note 8 Nigeria price. There are rumors about a new color in town called “Deep Sea Blue”. We don’t know much about this upcoming color yet and there are rumors suggesting that it will be limited phone and won’t be available as other normal versions. The stylus included with the Galaxy Note 8 will also pack the same blue color which looks interesting. One of the disappointing things about the Samsung Galaxy S8 was its camera which didn’t show up with any new features or improvement. The camera is still good and competes with the likes of iPhone 7 Plus and Google Pixel XL but it’s about time that the camera gets an upgrade. Most of the flagship phones from other manufacturers are switching to dual lens cameras and there are rumors suggesting the upcoming Galaxy Note 8 will show up with dual lens camera as well. One of those cameras will be a 12-megapixel wide-angle lens and the other one will be a 13-megapixel one which is a telephoto lens. Using both of these lenses, users will get 3x optical zoom. We have seen 2x optical zoom in the iPhone 7 Plus so it will be interesting how the 3x optical zoom works after the Galaxy Note 8 release date Nigeria. According to another report, both of these cameras will include optical image stabilization. The front camera will also receive a boost and show up with an 8-megapixel camera with selfie auto-focus. There won’t be any LED flash accompanying the front camera but that’s common with most of the flagships. The LG G6 also comes with dual sensors and users have access to use both the sensors individually which is a feature we expect to see in the Galaxy Note 8 as well. One of the features that make the Galaxy Note phone different from the Galaxy S series phones is its stylus or S Pen and new features are expected in the upcoming S Pen. The latest S Pen is expected to pack a built-in speaker. We don’t know the use of this speaker yet but it might be able to read some of the text memos or notes to us. It will be interesting to see if there is something else Samsung is planning to do using this speaker. Just like the latest Galaxy S series phones, it’s expected to be water and dust resistance and includes fast wireless charging as well. The company is focusing on the security part of phones as well which means the iris scanner will be included in this phone as well. Some more new S Pen features are expected as there will be a new User Interface accompanying the phone but we will have to wait for an official announcement to find out. Samsung introduced the new virtual assistant Bixby recently with a dedicated button. People didn’t really like the idea of a dedicated button for this new artificial intelligence system so it’s expected that things might be different with the Galaxy Note 8. There are rumors that Bixby AI 2.0 will be installed in the Galaxy Note 8. As for the operating system, it will be running either Android Nougat or the upcoming Android O. The processor inside will be an octa-core one clocked at 3GHz+ but we don’t know if it will be an old one or a new processor. There are rumors suggesting that the processor will be accompanied by 6GB of RAM instead of 4GB of RAM. 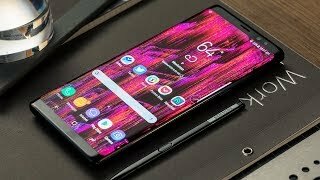 It will be a good idea to boost the RAM if Samsung is planning to include the DeX feature in this phone as well. For storage, users will get 256GB built-in storage but there are possibilities of multiple options with different built-in storage size. Although a lot has changed since the first Samsung Galaxy Note phone showed up, it’s the TouchWiz UI that didn’t really receive any major upgrade. The user interface did go through some major changes but it’s still not close to being perfect and definitely is one of the cons of the latest Samsung Galaxy phones. However, things are expected to change with the Samsung Galaxy Note 8. The upcoming phone will be offering a better Android experience as it will show up with the new Samsung Experience 8.5. It’s the successor of TouchWiz which will be shipped with the latest Android and offer some great improvements. This new change is expected to lead to smoother Android experience and faster face recognition and iris recognition features. It will be still interesting to see how the Galaxy Note 8 manage to compete with its own Samsung Galaxy S8 phones as the leaked benchmark results had a different story to tell. The upcoming Galaxy Note 8 failed to get scores as high as the Samsung Galaxy S8 phones. This is quite surprising and we will have to wait for the Samsung Galaxy Note 8 release date Nigeria to find out whether the leaked benchmarks are real or not. One of the touchy subjects when it comes to the Samsung Galaxy Note series phones is its battery. The battery size should be no less then 3500mAh but there are rumors suggesting that it will be a small 3300mAh one. It’s not impossible for the company to go bigger but for now it’s a good idea to play safe and also look safe. As confirmed by Samsung, the explosions of the Note 7 happened due to two separate failures in the battery, so it’s important for the company to ensure safety first and to go for a smaller capacity. The Samsung Galaxy Note phones are usually released in August and September and we are expecting an autumn 2017 release for this one. For those of you who are satisfied with the Samsung Galaxy Note 8 Nigeria price and want a phone with stylus, it will be a good idea to wait for this one. However, if the S Pen is not something you are after, you can check out the Samsung Galaxy S8 Plus. The new Deep Sea Blue color will be released either with the other normal colors or later as a limited edition phone. 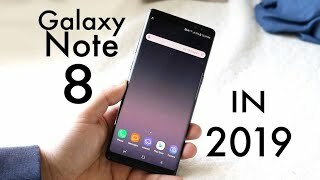 The galaxy note 8 Mobile Phone is manufactured by Samsung and was added around February 2017 and is part of the Samsung Galaxy Note 8 series. This version of the Mobile Phone comes in Color : Black , Capacity : 64 GB , Band : LTE , Display Size : 6.3 Inch , Sim Cards Slots : Single Sim , Special Features : Touch Screen , Special Features : External Memory Card , Special Features : NFC , Device RAM : 6 GB. The model comes in 11 other variations including combination of LTE Band , 64 GB Capacity , Black Color , 6 GB Device RAM , 6.3 Inch Display Size , Single Sim Cards Slots , NFC, Touch Screen, External Memory Card Special Features. The best price for the Samsung Galaxy Note 8 in Nigeria is ₦ 340000 sold at Microstation Ltd and available with free shipping and delivery within Free Shipping. 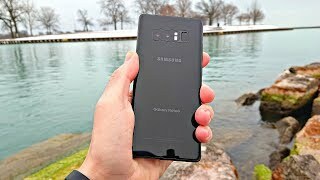 Samsung Galaxy Note 8 Review: A $1000 Android! 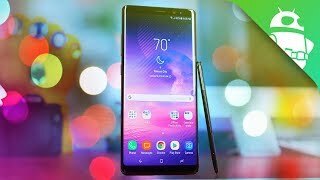 Samsung Galaxy Note 8 Review! 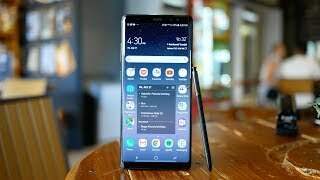 Should You Buy Galaxy Note 8 in 2019? 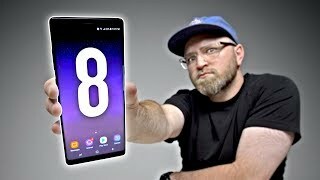 Samsung Note 8 in 2019: Still Good?